GBP/USD weakened substantially in the previous week as the Dollar continued rising and fears of a no-deal Brexit weighed on Sterling. From a technical perspective the pair is oversold, but in the absence of any strong reversal signs the downtrend remains intact, and therefore likely to continue, albeit probably after a pull-back. The daily chart clearly shows the established downtrend and how momentum in the pane below is now below the 30 level which indicates oversold. If RSI is oversold it is not a wise idea to open further short positions. Of RSI moves out of oversold it is a trend reversal signal and a good time to buy. GBP/USD fell to a new low of 1.2725 in the previous week and then bounced. Interaction with the S2 monthly pivot at 1.2740 was probably partly responsible for the bounce since pivots are - as their name suggests - often the location for reversals. The 4hr chart below shows how perfectly the rebound coincided with the touch of S2. Downside targets generated by the three-bar continuation patterns we mentioned in previous reports have now been met, the latest being between 1.2700-50. This further suggests an oversold assessment and inclines us to expect a rebound of some description. It is quite possible that after a short period of consolidation the downtrend will resume and bring the exchange rate to new lows since the downtrend is strong. Overall we are bearish, but due to the pair's temporary oversold conditions would caution against expecting further immediate declines and await a possibly pull-back before the downtrend resumes. 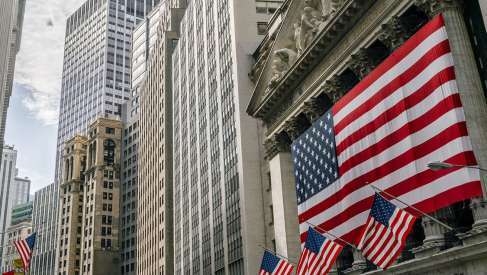 There is a high number or economic data releases out of the US in the week ahead but most of them are unlikely to be market moving unless they disappoint. The Dollar has grown used to a period of solid US economic outperformance relative to the rest of the world, and we reckon the currency might be vulnerable to any disappointments going forward. The US-initiated trade war and sanctions (Iran, Russia, Turkey) have raised tensions," says Michael Gapen with Barclays in New York. "While data look set to remain resilient in the short term, we expect the constant threat of escalation to gradually and increasingly weigh on H2 18 activity." The first big release is retail sales on Wednesday at 13.30 B.S.T, which is forecast to show a 0.1% rise in July compared to the previous month. Core retail sales, which excludes autos and fuel, is expected to show a 0.3% rise in July. "Revision to US national accounts suggests a reduced propensity to spend extra income consistent with higher future saving rates," warns Gapen. Industrial Production, out at 14.15 on Wednesday is forecast to show a 0.3% increase. "We are a little less optimistic than consensus regarding data forecasts and expect US production to contract," says Gapen. The next important release is building permits, which is expected to show a 1.4% rise in July compared to the previous month, when released at 13.30 on Thursday. Housing starts, which showed such a massive -12.4% decline in the month before, are out at the same time and expected to reveal a 7.4% rebound in July. The Philadelphia Fed Manufacturing Index is out at the same time and expected to come out at 22.3 from 25.7 previously. The big release on Friday is the University of Michigan sentiment gauge for August, which is expected to come out at 98.1 when it is released at 15.00, a rise from 97.9 previously. There is a also a fair amount of oil related data, including an OPEC report on Monday, Crude Oil Inventories on Wednesday and API weekly stock on Tuesday.